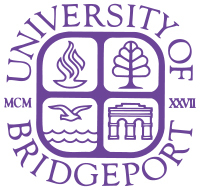 The School of Nursing’s RN to BSN program at the University of Bridgeport provides career/educational mobility for the registered nurse who desires to earn the Bachelor of Science in Nursing (BSN). The streamlined progression is designed for both the diploma and associate degree graduate who can earn advanced placement with a transfer of credits previously earned at a nationally accredited institution. The RN to BSN Hybrid Completion Program’s Upper level courses include nine nursing courses. The courses are online except for one hybrid nursing course, Health Assessment, which requires a combination of online learning and onsite classroom laboratory attendance for the demonstration of skills in a state-of-the art Nursing Skills Center.